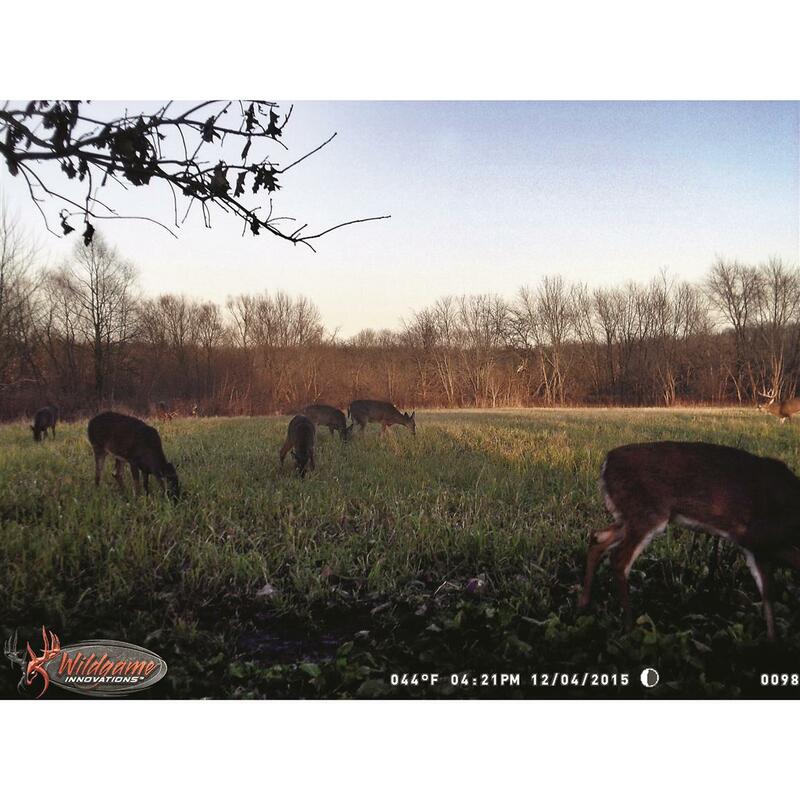 Keep whitetails on your land plump full and happy! 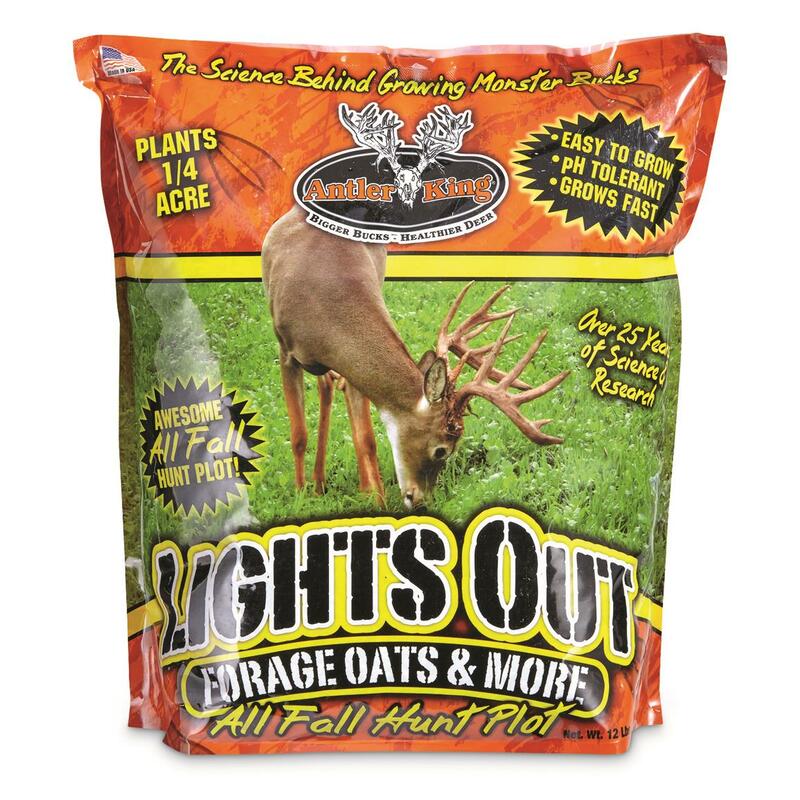 Antler King Lights Out Forage Oats & More is an awesome food plot that will attract whitetails during the Fall and Winter. Its special varieties of forage oats, turnips, and canola taste delicious, are easy to digest, and will be a highly sought-after food source. 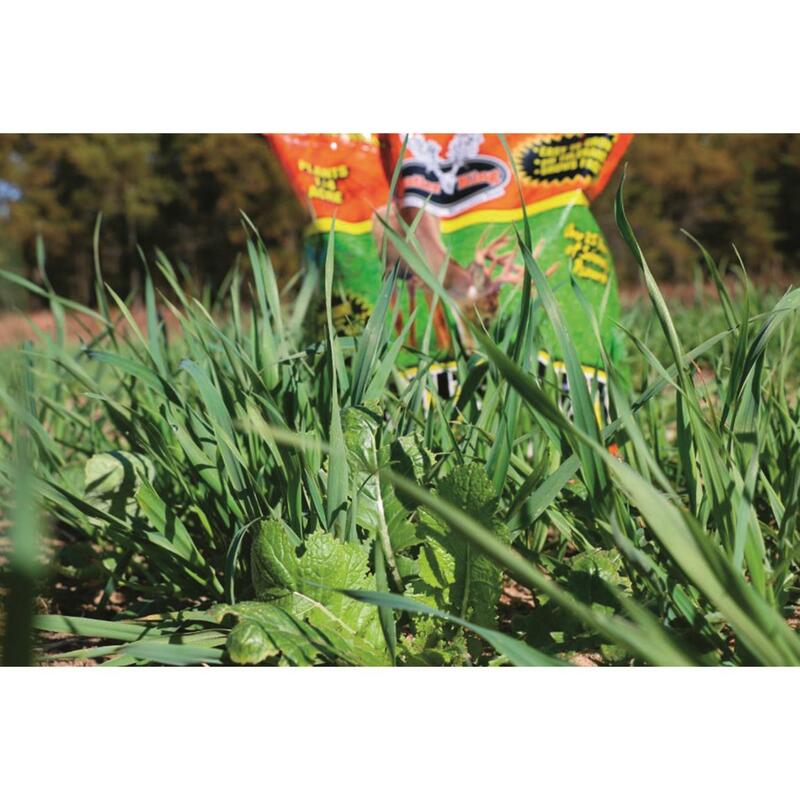 Plus, Lights Out Forage Oats & More is extremely tolerant to cold weather and will stay greener and more palatable longer into winter than other varieties on the market. 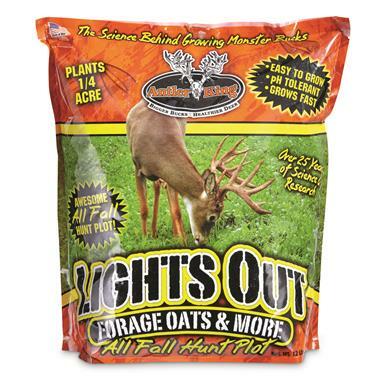 Antler King Lights Out Forage Oats More, 12 Pounds is rated 5.0 out of 5 by 1. Rated 5 out of 5 by Floyd from My go to plot every year! Lights Out is by far my favorite seed blend and food plot. 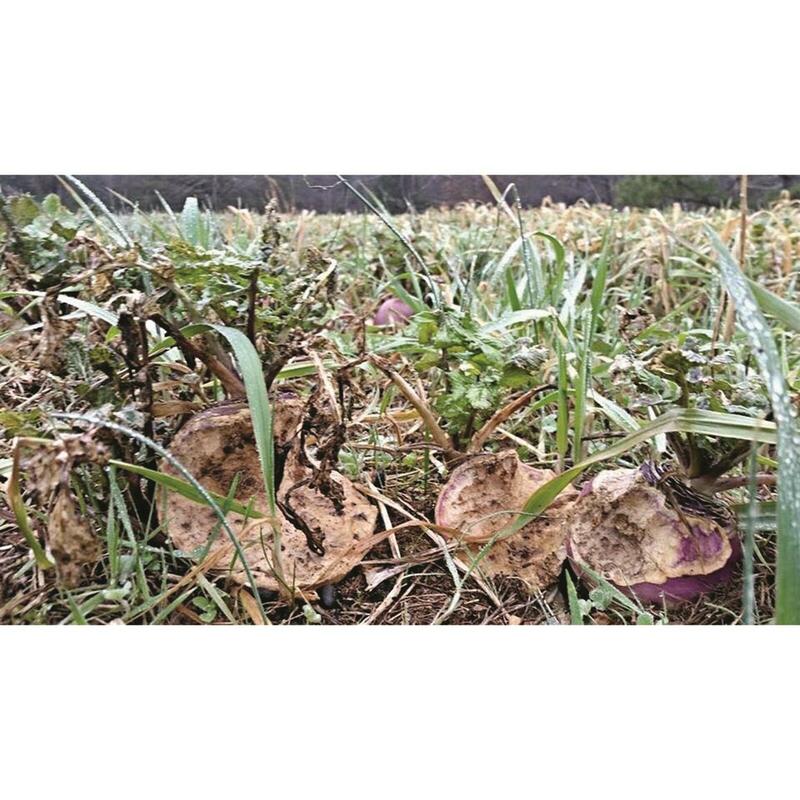 This special variety of oats shoots up fast to start providing the whitetail with great nutrition. The oats can sustain high grazing pressure while letting the canola and turnips to grow. Then after a couple freezes the starch turns to sugars keeping the deer coming to your stand well into late fall and winter. 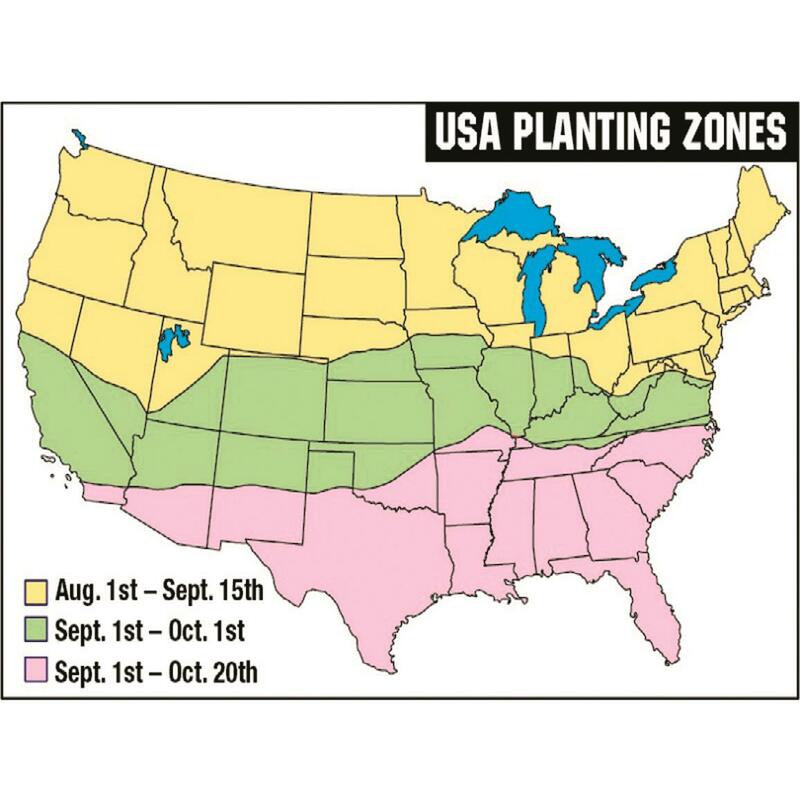 This is my go to plot every year. Last year I added Antler King chicory and made it even better. Draws a crowd and keeps them coming back.